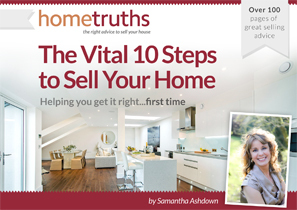 “After 6 months on the market with viewings but no offers, we took some advice from Sam. By putting in place her suggestions, we sold our house in weeks. The lady who bought it literally commented on everything we had done differently. We had tried to sell the house unfurnished but by spending £2,000 on furnishing it, we have managed to up the offer by £12,000. As we were showing the prospective buyers around the house, comments including ‘how cosy it looked’ and ‘how they could imagine their furniture in it’ were very forthcoming. We even got asked if we had redecorated a room! If you are trying to sell a house and it isn’t working, get Sam on board straightaway!! Thank you so much for the advice – you have made this couple extremely happy!